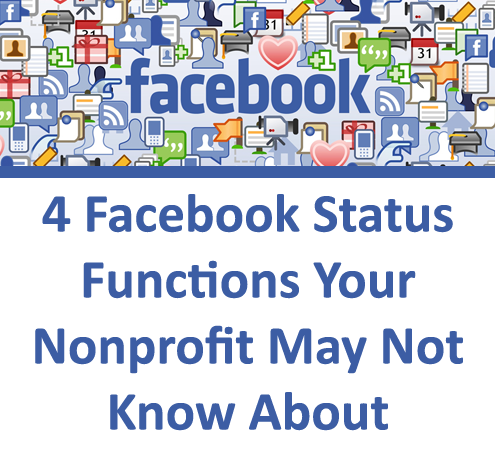 Good Tips as always from Nonprofit Tech 2.0 Blog! Thanks for sharing! This information is very helpful. I don’t have the option to change my links or posting time. Is there something I’m missing? It may be your admin permissions. I am the creator of my page, so I am always “Nonprofit Organizations” on my page and do not need to toggle over to schedule. When I click on the time icon, it just gives me the option to add a date, not schedule a post. Is there an update I am missing? Thank you very much for this info….yes, I didn’t know! Do you know, that you can ad link and then delete it? The information in box will stay, even then. Sometimes is useful when you don’t want ad comment to “link”. I would love to be able to schedule posts, but that option does not show up on the FB page I manage. The only option is to add a date. I tried in Firefox, Chrome and Explorer. Perhaps this is just a beta? Any suggestion?